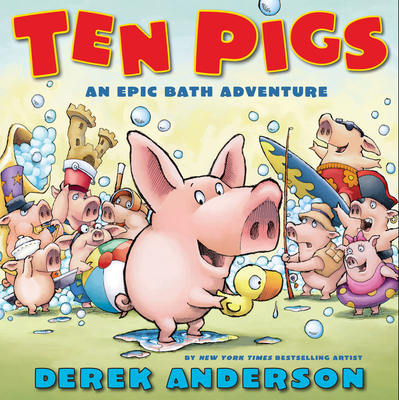 Laugh out loud in this hysterical epic counting bath adventure with a squeaky clean twist! And surfs his way in. One pig looks to take a relaxing bath in solitude, only to be joined by another pig, then another, then another. When Pig Number 10 jumps into the crowded tub, the first pig comes up with a plan to enjoy his bath.